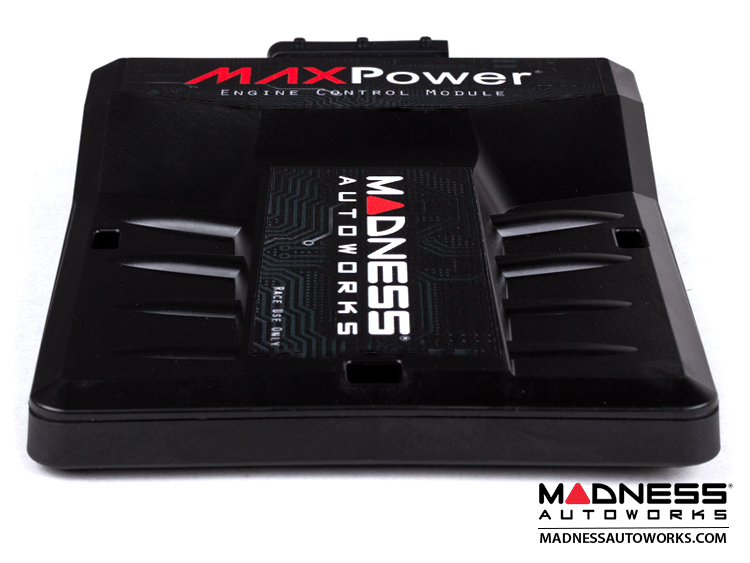 Significantly and safely increase the power of your FIAT 124 with the MAXPower Engine Control Module by MADNESS! This listing is for the MAXPower ECM w/ Bluetooth Control and the Camshaft Sensor Option. The addition of the camshaft sensor allows for smoother power gains and a more aggressive map that utilizes this camshaft sensor to deliver additional tuning features. Please check our other listing for the standard Non Bluetooth version of this module. The new MAXPower ECM w/ the camshaft sensor from MADNESS Autoworks is the newest generation of Plug and Play Performance Modules for your FIAT 124. Designed to outperform all other modules on the market or your Money Back! No inflated dyno numbers, just proven performance gains that deliver! If a competitor claim sounds too good to be true, it most likely is! 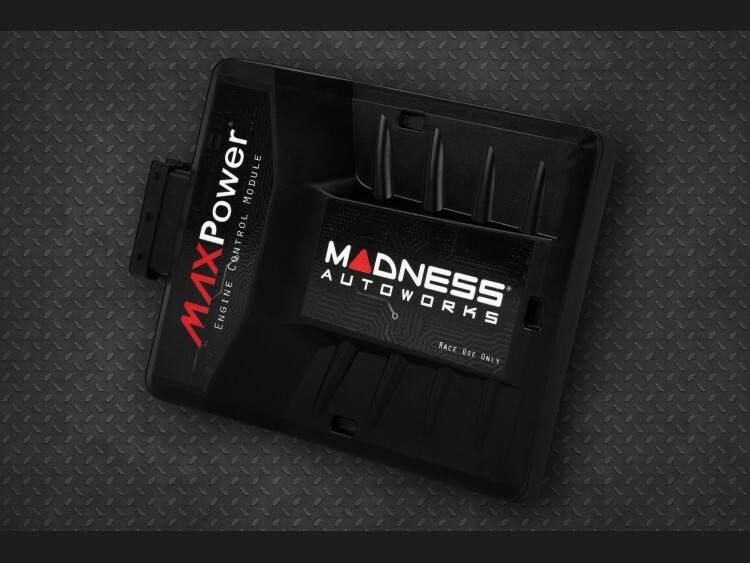 The MAXPower ECM Module was developed through a joint collaboration between MADNESS Autoworks and our International Performance Tuning Partners. Years in testing and development and countless hours of dyno and road testing have been invested in to this product prior to its release to the public. The MADNESS MAXPower Engine Control Module is truly the next level in Performance Tuning for the FIAT 124. This Engine Control Module provides instantaneous performance gains. Unlike direct ECU flashing this module is undetectable once removed. This module also allows you, the user to easily vary the performance of your vehicle as you drive through a dedicated, easy to use phone app. Simply increase or decrease the amount of power in your vehicle at a touch of a button. The module is designed to safely increase the performance of your FIAT 124 without sacrificing reliability of the vehicle. We do not chase top horsepower numbers that look good on a dyno, but rarely provide smooth and useable power delivery in the normal range that you would use a car. While the gains we provide with this product are fantastic, they are also safe and easy duplicated if you were to decide to do your own tests. We guarantee that our MAXPower ECM will outperform all other ECMs on the market in power delivery, driveability, features and reliability or your money back! Order it, install it and use it for up to 30 days. If you are not 100% satisfied return it for a refund. It is that simple! Just call us first if you are not fully satisfied with the unit so we can assist you in the return process directions. In modern engines there are significant power reserves to compensate for different air pressures, various individual driving styles and differences in fuel in global markets. The MAXPower Engine Control Module improves the thermodynamic efficiency of the engine and helps your vehicle use the hidden power reserves efficiently. The MAXPower Engine Control Module optimizes various sensor data to increase the performance by up to 18% by itself or by up to 30% with additional modifications. The Module is also able to increase fuel economy by up to 10%. (depending which setting you use). Our multi-channel processor uses the data from up to eight sensors processed in real time, recalculates the data and sends it to the vehicle's engine control unit. The MAXPower Engine Control Module uses vehicle-specific characteristics to recalculate the data, allowing for several engine parameters to be simultaneously modified. This module is configured with specially designed maps that are precisely matched to the FIAT 124. Each map was developed and tested by us (MADNESS Autoworks) utilizing State of the Art Dyno Testing Facilities right here is Southern California. In additions to countess hours of dyno tuning to ensure proper and safe power delivery road testing was also performed on several cars to ensure reliable power delivery for day to day use. MAXPower Engine Control Module does not interfere with the original manufacturer ECU maps and keeps the factory-set manufacturers parameters intact. This allows the vehicle to be reverted back to stock factory conditions when the module is removed. We have two different tuning maps available that are based on your Fuel Type (Octane). Once you go through the checkout process on our site you will be prompted to select a 91 or 93 Octane Map. The 91 Octane Map will work great on all 91 and higher octane fuels. The higher the octane the more performance you will get. If you are using 93 Octane or higher fuel for your vehicle then we have a map available for your higher fuel octane that will give you additional performance gains (approximately 5%). Please select the octane type you use on your vehicle on the checkout screen and we will ship you the module with the requested map. Any questions? Give us a call and we will be glad to assist. 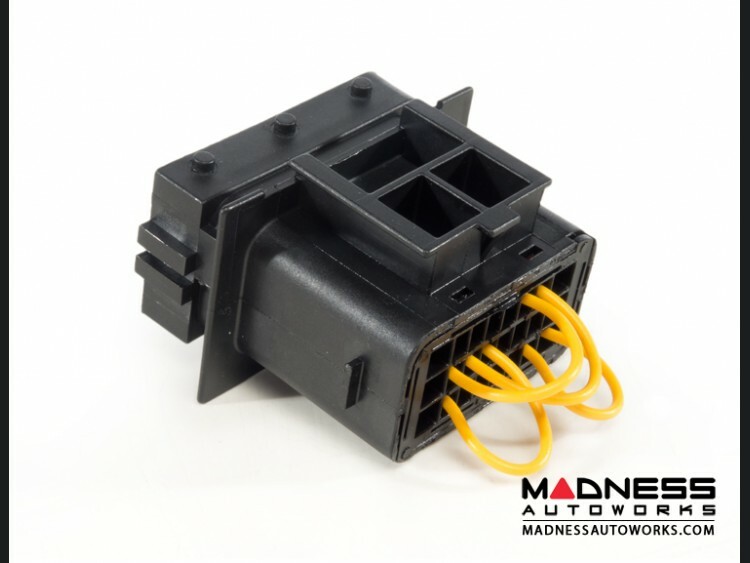 The MAXPower Engine Control Module is constructed from high quality molded ABS plastic. The modules are specially sealed ensuring every unit is waterproof and airtight and will withstand the high temperatures from the engine compartment. These modules are also fireproof and do a superior job in protecting the motherboard from moisture and heat. 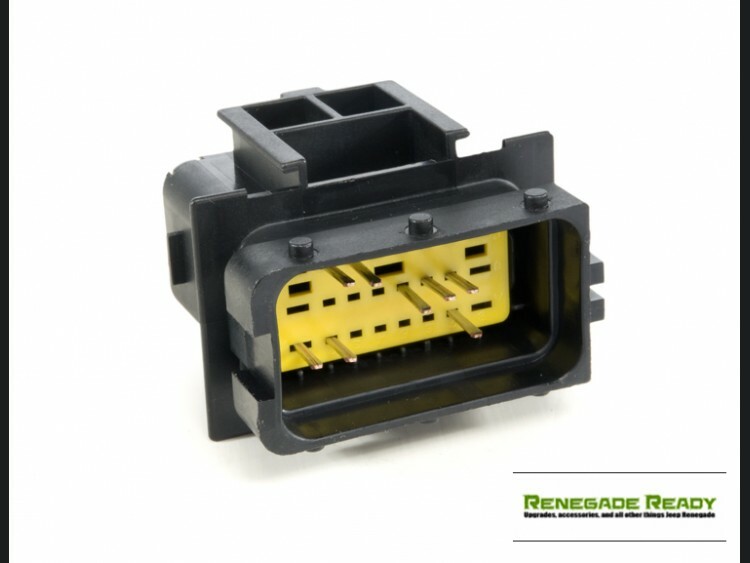 We use vehicle specific wiring harness and original manufacturer plugs to allow for simple and painless installation. No need to worry about the connectors failing overtime. 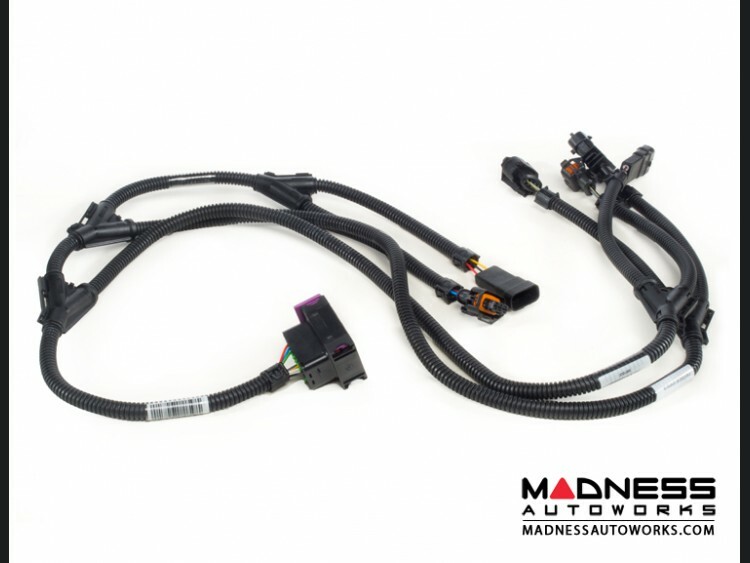 Our wiring harness connects securely between the MAXPower Module and the vehicle's ECU. MAXPower Modules have built in specific parameters to keep your FIAT 124 protected. We have incorporated a 'Cold Start Timer' to allow the engine to reach full operating temperature before the MAXPower Module begins to work. You can personally program the Cold Start Timer to a time that you feel is right for you based on your climate and driving style. The timer is another safety feature that is built in to our MAXPower ECMs. This allows all of the fluids and lubrication (coolant, oil, etc.) in the engine to be at their optimum operating point before the module will begin tuning, prolonging the life and reliability of your engine. The module also keeps all of the vehicle's built in protection in place. Our maps also feature a timer function for engine protection under full load, after 20 seconds under full load, power is regulated back to the factory output. After each load change, the timer is reset and the tuning is fully available again. This is nothing you will feel since the the module quickly resets. This is however another safety feature that is designed to keep your FIAT 124 operating safely. Running a turbo with significantly increased boost can and will shorten its lifespan. That is why we incorporate this engine protection feature in our new MAXPower Modules. For those seeking the next level in Performance Tuning we have you covered! The MAXPower Engine Control Module features incorporated Bluetooth Technology which allows you to pair your phone or tablet directly to the MAXPower Module. This will then allow you to have live control of the tuning maps which you can switch between from your phone or tablet. You can also view several parameters being read from the engine to show that the tuning module is functioning correctly. 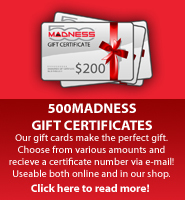 Begin by downloading our MADNESS App available on Android from the Google Play Store or iOS from the Apple App Store. Enter the Module's serial number into the app, turn on your phone's Bluetooth and hit connect. The Module will then automatically connect to the app. Our app will allow you to view vehicle settings, set a timer delay for the MAXPower Module, and change the tuning mode of the Module all at the touch of a button. The Cold Start Timer allows the user to set in a pre-determined delay when the engine is first started delaying the tuning module from giving increased performance until the engine has reached a safe running temperature. On / Off - Enable or disable the MAXPower ECM. With just one click, your vehicle is in factory mode. ECO Mode - Slightly higher torque in the lower speed range allowing your vehicle to achieve improved fuel economy. Sport Mode - The power of your vehicle is further raised giving a noticeable increase in overall performance. Sport Plus Mode - Power is increased to the maximum safe limit giving a big power and torque increase for use on track days or special events where the highest output from the engine is required. A. There are two main methods of tuning modern engines, one is by chip tuning or re-mapping, this involves using a special interface to read out the program from the cars computer or ECU and then writing in a new program to increase performance. The second method is to use an external plug in Tuning Box or as some people refer to them 'Piggyback ECM', these units connect into the existing wiring of the vehicle generally using original manufacturers connectors, a control unit (Tuning Box) is then attached which can over-ride the signals coming from the engines sensors to the cars ECU and alter them to allow the injectors or common rail to inject more fuel at certain times and increase turbo pressure to keep the air/fuel ratio correct. These units are generally connected to either the fuel injectors or to the pressure sensor on the injection systems common rail (the common rail is a thin cylinder close to the injectors which holds the fuel at high pressure before feeding it to the injectors) and also to the pressure sensor of the turbo charger allowing us to increase turbo pressure to match the increased fuel. The new MAXPower ECM is the next generation of ECM Modules that features a camshaft sensor, new tuning software that provides you with the safest and highest gains possible and a user control via Bluetooth . Q. What's the difference between analog and digital tuning units? A. Quite simply the analog unit has no electronics inside and no processor, its generally made of resistors inside a plastic box with a screw to increase or decrease fueling, these are very cheap to make and are usually found on auction sites, the risk with these units is that they have no set program to deliver the increased fuel at specific points, instead they just increase fueling continuously even at idle which can cause the engine to run erratically and over time will likely cause damage and usually create a lot of smoke from the exhaust. The analog units generally will not work on quite a large number of modern cars due to the latest intelligent computers running the engine which can detect them and will cause the engine warning lamp to come on and the engine to go into safe mode (greatly reduced power and limited revs). A digital tuning unit has a microprocessor controlled computer board inside which is programmed with specific parameters for each individual vehicle to obtain the maximum performance without reaching the safety cut off limits set by the manufacturer, each unit is set up on a dynamometer so the results can be accurately measured , the digital unit will also not function until the accelerator pedal is pressed beyond a certain point at which you are demanding extra power , this means that no extra fuel is being added at idle and the extra fuel being injected is reduced again when the engine approaches maximum revs to avoid damage , put simply the digital unit is carefully designed using the latest technology to achieve the maximum performance safely from each individual make and model of vehicle, also the parameters in the digital tuning kit are hard programmed into the control chip so they can never alter over time or temperature. Q. What kind of increase in performance can I expect from the MAXPower Engine Control Module? A. Consistent gains of approximately 20% were achieved with the MAXPower ECM on 91 octane with only the MAXPower ECM and up to 30% with additional complimentary upgrades. We do not overinflate numbers and guarantee that our modules will deliver reliable results just as well, if not better then any other competing module on the market. Q. What can you expect once you install this unit? A. You will see an increase in horsepower and torque. The vehicle will be noticeably stronger pulling away and over-taking. Keep in mind that all performance figures quoted are given as an approximate guideline. They will vary from car to car, figures can also be influenced by outside factors such as temperature, air quality, quality of fuel and accuracy of the dyno the vehicle is being tested on as well as maintenance of the vehicle. Q. Why should I buy the MAXPower MADNESS Engine Control Module over others that are on the market? A. The MAXPower ECM is designed to give you significant power gains, full adjustability, test proven results, safe power gains and affordability. We do not chase high horsepower gains on a dyno to sell our modules. Rarely will you drive your vehicle at speeds and conditions in which you will be able to replicate top horsepower numbers. We focus on power that is useable and can be felt on daily basis as you drive your vehicle. That is also why our new adjustable modules allow you to instantly control power delivery through a simple and easy to use phone app. We offer is a well designed, proven product that delivers significant power gains in HP and Torque while keeping your vehicle at safe levels. Q. Could the unit damage my engine? A. These units are specifically designed to run within the manufacturers’ safety limits and tolerances. The extra performance is easily within the capability of the engine and gearbox. The service intervals of the vehicle will not change however it is important that they be done on time and using original manufacturers parts, it is also very important to regularly check the engine oil level and top up if necessary with the correct oil as most modern engines are designed to use some oil to increase the lifespan of the engine. Q. Is the unit difficult to fit if I wanted to fit it myself? A. Generally not, most can be fitted by you at home or a trained technician in less than 1 hour. We offer installation services for this unit at our facility and can also give you assistance over the phone if needed. We also offer a detailed How To Install Video for this product and take you step by step to make the installation simple. Q. Is it legal to increase the performance of my engine? A. As with most performance enhancing products regulations vary from state to state. We offer this unit under the "For Off Road and Track Use Only" and encourage you to check with your local state laws to see if this unit is legal for on road use in your country/state. Q. Chip tuning or Tuning Box which is best? A. It’s a personal choice really, both should give similar results. For some people a Tuning Box is preferable if their car is under warranty as the unit can just be removed for servicing and re-fitted afterwards. This tuning box also allows you a number of features that a direct tune does not. Unlike a flash this unit does not leave a trace in the factory ECU and once the box is removed it is undetectable. The MAXPower ECM also offers you the opportunity to vary the tune/ performance of your vehicle at a touch of a button. Direct flashing the ECU is not an option for the 124 model at this time. This product comes with a 3 year product warranty, this means if the product develops a fault it will be repaired or if un-repairable it will be replaced free of charge, and the customer is responsible for return postage and insurance in the event of loss. The unit will need to be shipped directly to us for service. Simply unplug the ECM, install a bypass plug and ship it to us. We will promptly take care of the issue and ship the unit back. Unlike other ECMs without the bypass plug or a direct flash there is no downtime for your vehicle if a problem ever occurs. By purchasing this unit you understand that it is being sold under the "For Off Road and Race Use Only" category. It may not be legal for street use. You agree to check your local state laws for legality prior to installing it and using it on a vehicle intended for street use. You also understand that by increasing the power output of your engine you may cause harm to the power train of your vehicle and shorten the life of the engine and related components (if not used as intended).By purchasing this unit you understand and agree to release 500 MADNESS, MADNESS Autoworks, its affiliated companies and partners, its owners, officers and staff from any damages, costs, legal and non legal issues that may arise from the use of this product.You agree that 500 MADNESS, MADNESS Autoworks, its affiliated companies and partners, its owners, officers and staff are limited in their responsibility from anything that may happen by the use of this product and agree to hold all parties involved harmless from any costs or issues that may be associated with the use of this product. MADNESS Autoworks is your One Stop Shop for customizing, accessorizing and servicing your favorite ride. Whether you are looking for custom wheels, window tinting, custom stereo installation or other performance modifications we are your shop. MADNESS Autoworks is located in Signal Hill, CA (an enclave surrounded by the City of Long Beach) and is a facility dedicated to making your favorite ride truly yours by offering a wide line of aftermarket accessories, installation and customizing services. MADNESS Autoworks was originally known as SMART MADNESS a company that became famous for customizing and accessorizing smart cars. SMART MADNESS has become the largest provider of smart car parts, accessories and customizing services in North America and now one of the largest globally in just a couple of short years. 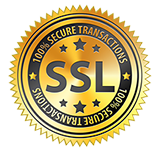 We accomplished this goal by providing the very best in products and services at reasonable prices with a personal touch. We treat our customers like family members and do our best to make sure every one of our customers gets the very best treatment possible. A number of our customers own other cars besides the smart car and continuously ask us if we would also work and or customize their other car due to their positive experience with us. This is how MADNESS Autoworks was born. Our goal is simple! Provide you, the driver with the widest range of products, servicing and customizing options with friendly service at a very competitive price. After spending years working on cars and working with many suppliers we thought at times we could do better by designing and manufacturing some products ourselves. We started partnering up with our most trusted manufacturing partners and suppliers, investing in infrastructure, manufacturing equipment and recruiting some of the best talent that could help us design and build superior products and make them available to our fellow drivers. Our goal is to provide a top quality product that has been tested and used in our own cars and has proven to last and provide a good value for the investment. Whether you are looking for the best value in a set of floor mats, a performance exhaust system, an intake, a roll cage or a carbon fiber part the MADNESS Item is designed to deliver on our promise of bringing a good quality item at a reasonable price. We do not design and build our products to be the cheapest, we design then to be the best value for the money and stand behind them the same way we stand behind our work. If you ever have a question, need assistance or have a request contact us and we will be glad to help. FIAT 124 RPF1 Wheel by Enkei Performance - Silver - 16x8"